Restylane® is a hyaluronic acid which is a natural substance that binds tightly to water. Providing volume and fullness to the skin and soft tissues of the face. This helps to replace lost volume and restore youthful contours to the skin by smoothing facial wrinkles and folds. It provides a soft, supple correction that provides a very natural result. 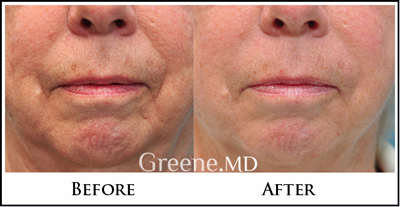 These fillers provide natural, immediate results. Common areas include the nasolabial folds (the creases that run from the bottom of your nose to the corners of your mouth), the tear tough (dark shadows under the eyes), and the marionette lines. They are extremely safe, and do not require skin testing (unlike other fillers of the past). They are also long-lasting, with some patients experiencing correction from 8 to 12 months. This rebate promotion cannot be combined with any other special offers or discounted pricing. Promotion only valid while rebates are available, on a first come basis. Restylane® is an excellent choice to restore volume in the tear trough, eliminating shadows and hollowness below the eyes. Treatment of this area does require more aesthetic skill and judgement than other areas of the face. This can give patients a more refreshed, less tired look. Patients who are interested in rejuvenation but are not yet ready for surgery are excellent candidates for this procedure. Restylane® is also an excellent choice of filler for earlobe rejuvenation. Many patients find that as they age, they lose volume in their earlobes, making it more difficult to wear earrings. 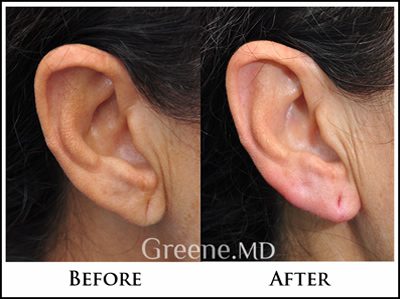 Restylane can restore volume and add strength to the earlobe, to prevent sagging and hanging when wearing earrings. Loss of volume in the face can lead to deepening of the nasolabial folds. Hyaluronic fillers can be used to lift up the fold and restore a natural, youthful contour. 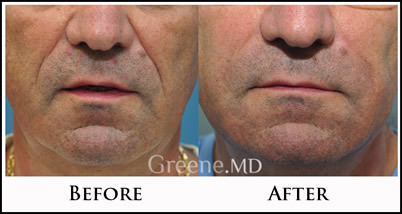 Restylane Lyft is an excellent choice for treating the nasolabial folds in men. This male patient below was treated with two syringes.